This is the birth of a new field. In short, if you want a model that synthesizes NLP, that expands upon it and that is based on hard science, then mBraining is for you. Learn it now and get in on the ground floor." Wyatt L. Woodsmall, Ph.D., NLP Master Trainer and Master Modeler, Co-Creator of the International NLP Trainers Association. Internal conflict between thoughts, feelings, attitudes and actions - ie internal conflict between head-based thoughts, gut-based instinct and heart-based emotions and values? Wrestling with continued indecisiveness and ongoing unresolved issues? When clients experience these in their life or behaviour, it's time to empower them using the deeply integrative mBIT processes you’ll be trained in during this workshop. You will learn to re-pattern how our brains work together to support and enhance life success. … anyone who needs to coach or interact with others to produce results that can only be achieved when head, heart and gut are aligned! The mBIT Coach Certfication training is accredited by the ICF for CCEU points. Be Ready to Take Your Coaching to New Levels! Not only will you be able to integrate the training into your own life, as well as facilitate changes in your clients, the training is a deep and integrative process that can be undertaken as the standard 4 day coach training or the 6 day equine facilitated option. 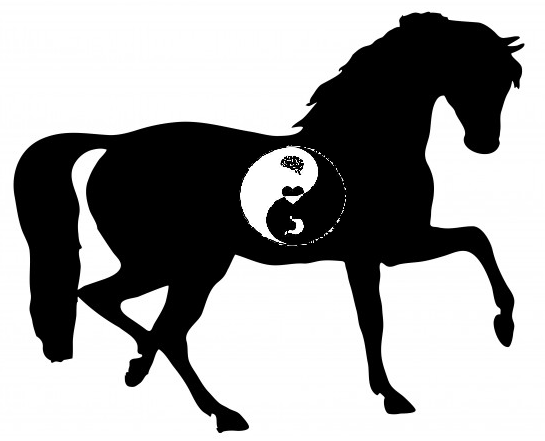 The first and last days are a powerful and profound personal and professional development equine experience that immerses you in the field of horse to truly and deeply align and integrate your learnings, along with the 4 days training in mBIT. The suite of tools and techniques will have you communicating with, integrating and harnessing the power of your multiple brains (head, heart and gut brains). You will find you are opening up to the inherent wisdom of your deep inner self and are increasingly becoming connected with your inner truth and being at one with your core values and evolving authentic self. You will also open up new possibilities in how you are creating and authoring your life - who you are being and becoming as you are doing. In essence, each brain has a competency that is its 'highest expression' and that the three brains, when operating via these competencies, produce synergistic effects and bring greater wisdom to decision making, relationships and life. When all three work together they produce amazing results! 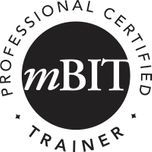 For those who work as riding instructors, coaches, equine learning facilitators or therapists, you can gain Professional Certification as an mBIT Coach or/and Equine Experiential Facilitator. Coaches report that the tools and techniques creates faster and lasting changes in their riders and clients and that it is an elegant and powerful adjunct to their existing EAL/EAP model and toolkits. This 6 day training is for equine facilitators, therapists or coaches who have already been trained in any equine learning model and involves the 4 day in house mBIT training then 2 days in the field of horse to learn ways in which these processes can be integrated into your program offerings and supported by your equine partners. Cheryl is the first mBIT coach and trainer in the world, and to date, the only learning and coaching specialist who partners with horses to be trained by the developers and founders Marvin Oka & Grant Soosalu. She has a close relationship with them, is a member of mBIT International trainers community and is involved in ongoing Behavioral Modelling and Action Research with mBraining With Horses. For the past 8 years, Cheryl's programs have naturally drawn on the heart and gut wisdom along with the head, so the process has seamlessly integrated and deeply enriched her coaching and training offerings with horses. 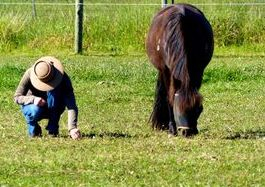 She was immediately drawn to and excited to discover the competencies of the brains in the heart and gut and the application of this to her life, leadership and wellness programs as well as her horse human relationship. She found their action research findings and models incredibly aligned and feels that this greatly deepens her understanding and advances her facilitation work with horses.